The BBS LM are one of the most coveted JDM Wheels of all time. 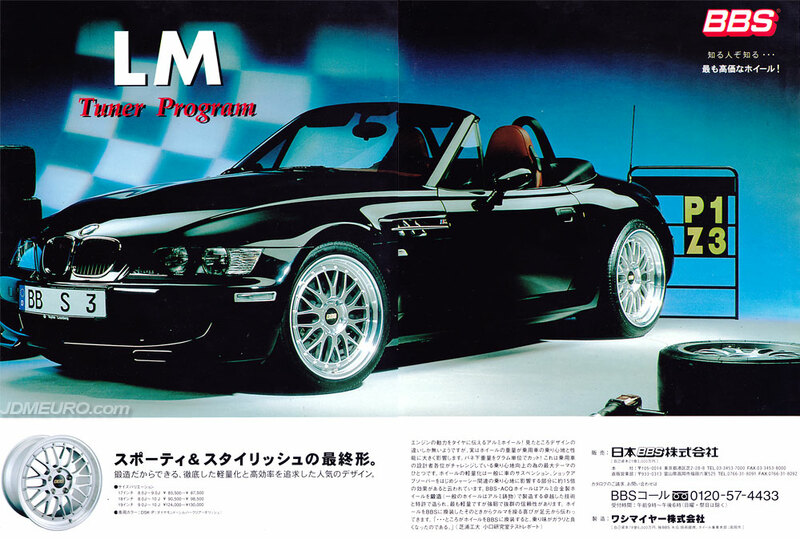 What people don’t realize are that although BBS is a german company, the BBS LM are actually made in Japan. The BBS LM feature 2 piece construction with a forged aluminum face and barrel fastened by titanium hardware. Pictured are the BBS LM on a BMW Z3M Roadster E36/7.